All six surviving production Deltic locomotives will be re-united at the National Railway Museum in Shildon at a special event to be held between 8th and 9th October 2011. They will join the prototype Deltic which is permanently displayed at Shildon. The last time all six production versions were together was at Barrow Hill on August 11th 2006 and by arranging this years event to take place at Shildon will give the opportunity for the six to be seen alongside the prototype which, although restored externally, is not operational and unlikely ever to work under its own power again. The prototype was introduced in 1955 and operated initially on the West Coast mainline. In 1959 Deltic transferred to the East Coast mainline until 1961, when it was withdrawn after a power plant failure, having covered over 450,000 miles. 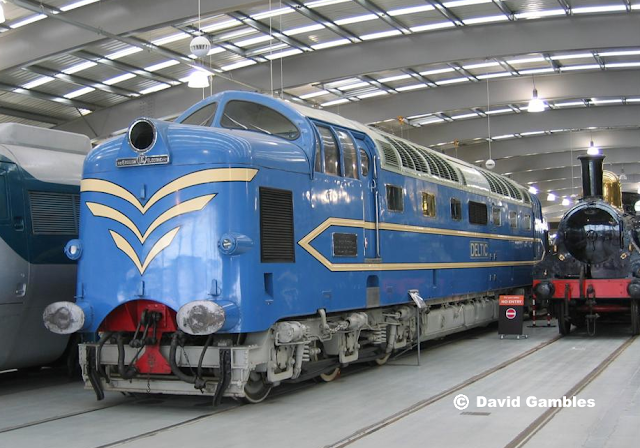 After 20 years on display at the Science Museum in London, the prototype Deltic was moved to the National Railway Museum at York in October 1993 from where it was eventually moved to Shildon.